Winter can be exceptionally hard on an automobile. 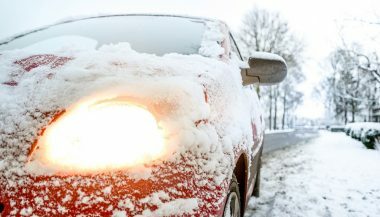 But with a little prior planning and the right winter car care, you can avoid many of the most common winter car problems. Keeping you safe and warm on the road, your car running in tip top shape, and getting you back home sooner when the going turns foul. Car batteries don’t work as well when temperatures sink below 30 degrees. The cold saps voltage, stripping the battery of some of its cranking power. Before things get cold, have your battery’s health checked. Modern cars depend much more heavily on voltage than old ones thanks to more computers. And more high-voltage winter gadgets like heated seats. If it’s 3 years or older, you may be looking at getting a new one. Better to replace and install it now than find out it won’t crank on the first cold morning of the season. A dark and cold parking lot is no place to discover winter car problems. Cold temperatures can thicken fluids, including oil, brake, antifreeze, power steering and transmission fluids. Transmission fluid is the one that can cause real problems. Automatic transmissions must react quickly. When transmission fluid thickens it can’t flow as fast as it normally does. This winter car problem can lead to serious delays between shifts and damage to the transmission. Both of these materials will stiffen and become more susceptible to cracking or breaking when exposed to cold temperatures. 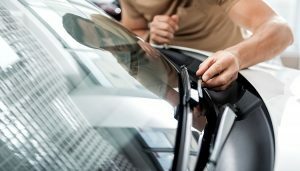 Particularly vulnerable are wiper blades and wiper transmissions. When wipers get frozen to the windshield, the wiper transmission can become overloaded and fail. 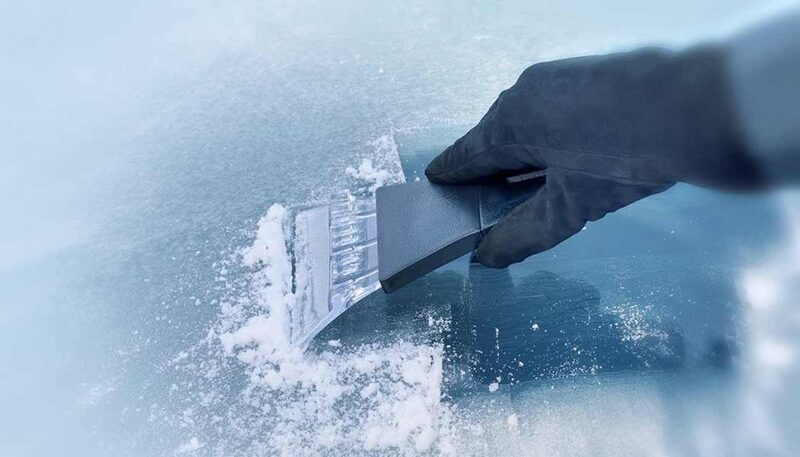 See our de-icing tips below and show winter car problems who’s boss. There is moisture in the air. And there is plenty of air in a gas tank that is near empty. That moisture in the air can condense and freeze. Then it can find its way into the fuel lines. Try not to get below half tank during winter to minimize the risk of ice in the lines. A good fuel antifreeze can also help if that moisture turns to water in the tank. There’s more of course, but this short list accounts for most of the road assistance calls during the cold months of winter. 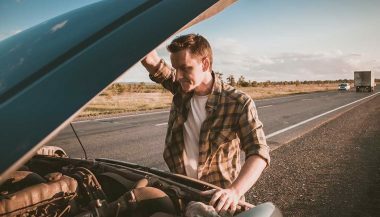 If you want to beat the inconvenience and frustration that winter car problems can cause, try these simple solutions to keep your ride running. This is one of those “yeah, yeah, sure” ideas that make perfect sense, but you won’t do because it costs time and money. 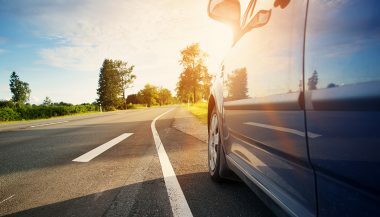 Before you take your family on a road trip you make sure your car is in good shape. Just think of winter as a three-month road trip. Get it serviced before it gets cold. Flush the coolant if it needs it, get a new battery, inspect the belts. If it’s time for a tune-up, the cold isn’t going to improve performance. Get it done now. Install the snow tires. Worn snow tires are better than new all season tires. And they work better than all season tires once the mercury drops below about 40°. When you take a flight in winter and they deice the plane, do you see 30 guys working away with plastic scrapers? Of course not. They use a spray on deicer. You can do the same thing. A mixture of 2/3 rubbing alcohol and 1/3 water will deice your windshield and rear window in a snap. Just mix it, put it in a spray bottle, and squirt it on your windshield. Just like that bottle of Stoli in your freezer, rubbing alcohol has an extremely low freezing point (-123 degrees). Mix it with water and that freezing point rises to about -5 degrees so it’s going to evaporate the ice even in really cold weather. Another idea (though we are not endorsing it) is cutting an onion in half and rubbing it on all your glass parts before they ice. This supposedly prevents ice from forming but the smell may not be worth it. That might end up causing winter car problems of its own. This time you need straight rubbing alcohol. Pour some on a rag and then thoroughly soak the wiper blades. This will prevent ice from forming on the blades and prevent them from sticking to the windshield. Note that alcohol evaporates fairly quickly, so you will have to apply this treatment frequently. Keep a bottle of rubbing alcohol and rags in the car. If you drive an “old school” car that needs to be locked/unlocked with a key rather than a fob, here’s an easy way to deice a frozen lock. Take the straw out of that 36 oz soda you’re drinking for breakfast and use it to blow into the lock. Your warm breath will melt the ice and get you out of that winter car problems jam. Keep your car clean. During winter, both the exterior and interior are attacked by road salt and grit tossed up from the road and tracked inside on your boots. It’s unlikely you will break out the hose and wash down the car in 30-degree weather. As an alternative, try a detailing fluid. Just spray on the detailer and use a microfiber towel to wipe off the grime. Use a second towel to buff the area. You’ll be surprised how fast you can wash a car with this method. The freezing weather might have something to do with your speed. For the inside the best solution is custom mats. If you’re feeling cheap, non-slip bath mats from a big box store can serve the same purpose. Plastic or rubber mats are ideal for handling the melting snow, salt and other debris you track in. Just make sure they won’t get caught under your pedals.